I’ve always found that making things fun is the way to go. Whether that be in therapy or at home. I’m very much a “fun” exercise type person myself. I’d rather play an organized sport or game than run on the treadmill. 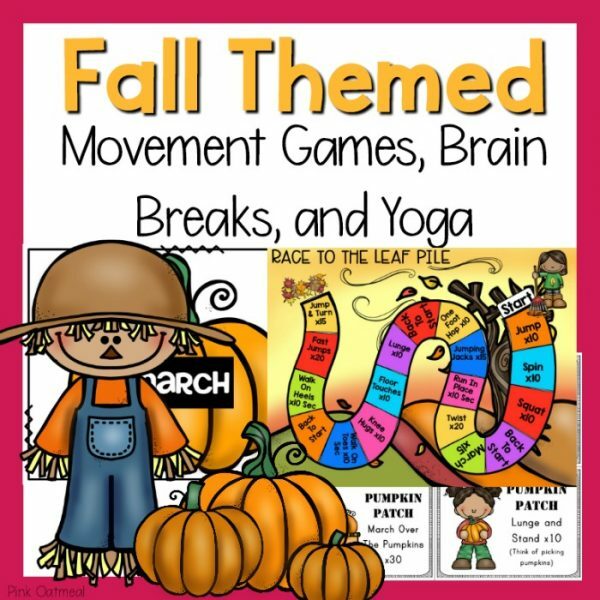 I’m always trying to come up with new ideas to incorporate gross motor skills into a fun game. One of the games that has accomplished this has been my apple toss game. 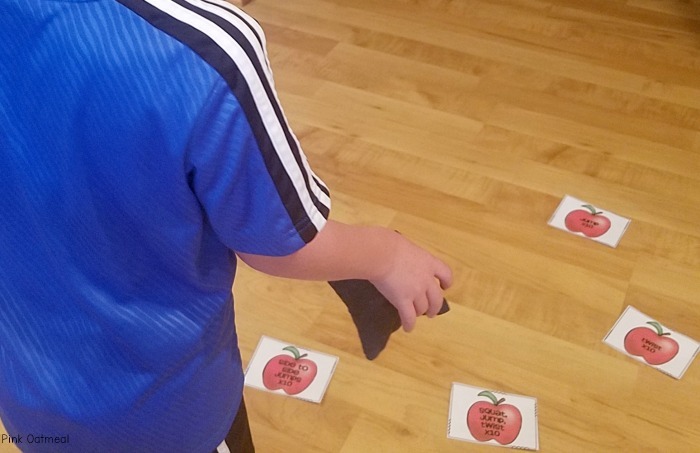 This game makes moving and gross motor skill development fun for many kids. I also love that it can be played as an individual or in groups. It’s perfect for the fall and back to school season. 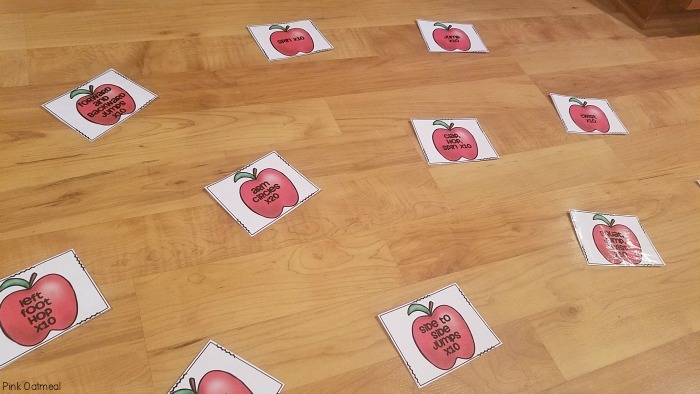 Start by creating apples with action words in them. Some examples of the action words I use are jump, twist, balance, squat etc. Next, place them on the wall or on the floor. Use whatever means you need to get them to stay whether it be tape, tacks etc. For repetitive use laminating them may not be a bad idea. Next get your bean bag or ball ready to be tossed at the wall or on the floor (bean bags for floor). Each child takes a turn tossing the ball/bean bag at the wall (working on eye-hand coordination). If they hit an apple they have to perform that action. Once they have performed the action they get to “pick” the apple off the wall or off the floor. The object of the game is to get all the apples “picked” off the wall. If you are playing in teams the winning team could have the most apples picked. 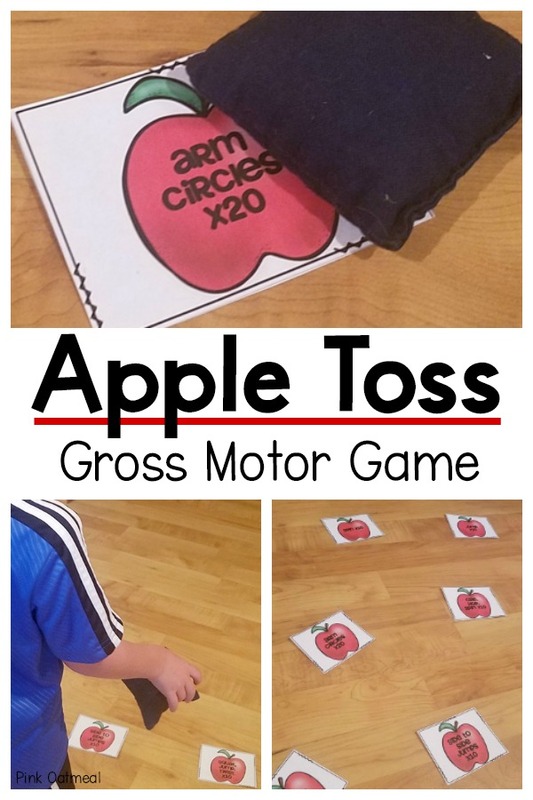 This apple game is perfect for your gross motor needs! 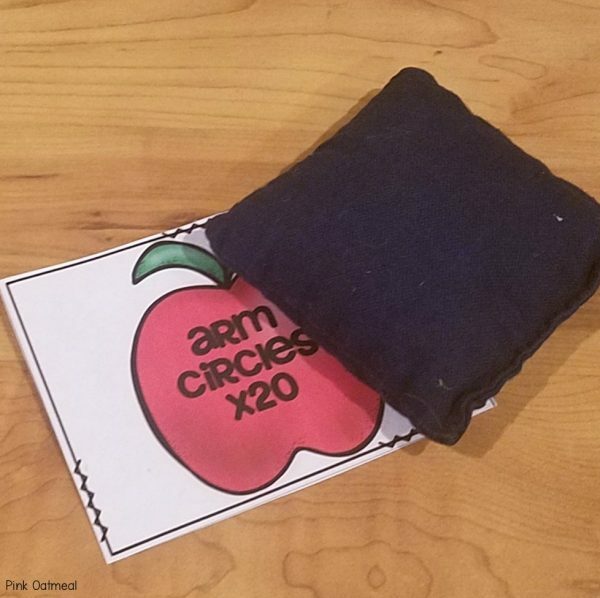 See even more apple themed motor planning ideas! Like the idea of the game but don’t have the time or energy to put it together yourself? I have ready made apples available for you in my shop as part of the Fall Themed Movement Games Pack!